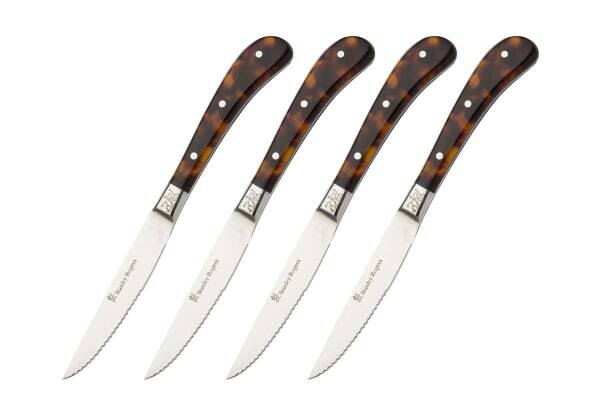 Add a hint of pizz-az to your dining cutlery sets with the Stanley Rogers Precious Steak Knife Set. The Stanley Rogers Precious Steak Knife Set is the knife you have been looking for. Presented as a set of four in an acacia wood storage box, these are sure to add a vintage feel to your dining experience. The stainless steel blades are built to last and are sure to stay sharp for years to come.